Fed up with eye creams that don't seem to do anything? Check out this hard-working duo from Tropic instead and give your peepers some well deserved TLC. 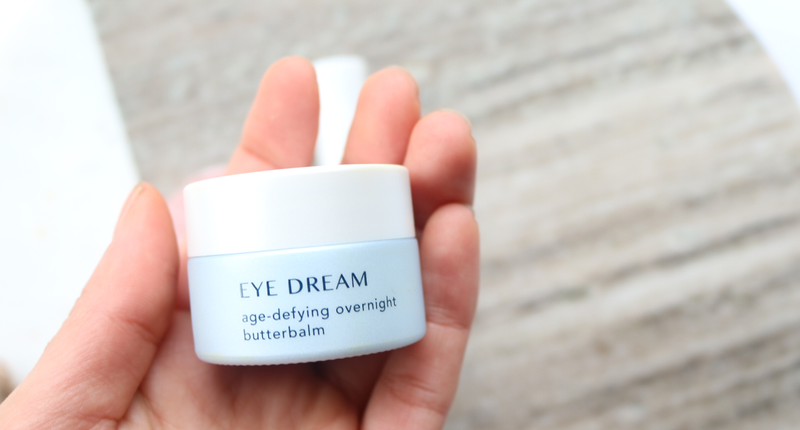 I always get excited whenever I receive a new skincare treat from Tropic, and before Christmas, a package arrived with their brand new Eye Work Rejuvenating Serum and Eye Dream Age-Defying Overnight Butterbalm. 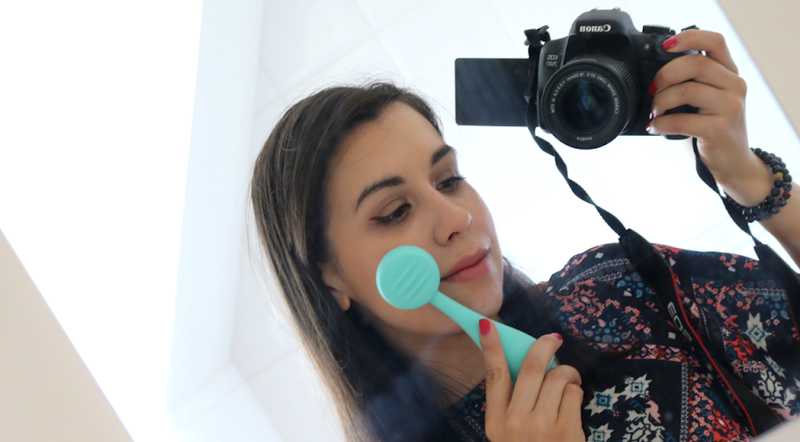 I'm obsessed with trying out eye care products as the eyes are always the first area of the face to show the first signs of ageing, so I couldn't wait to test these beauties out! And like everything else from Tropic, both are certified cruelty-free and are vegan-friendly. I'm seeing more and more brands release eye serums and like a great serum for your face, a dedicated eye serum with the right ingredients can be a beneficial step in your anti-ageing skincare routine. 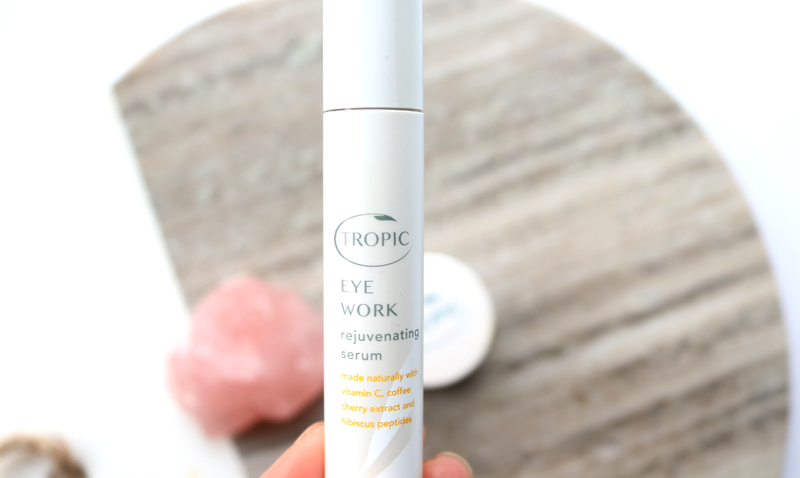 Eye Work comes packaged in a slim tube that features a ceramic tip which dispenses just the right amount of product each time. The serum has beautiful silky texture that absorbs easily and I found that it has a subtle tightening effect when it's initially applied. The key actives in Eye Work are Peptides (derived from Hibiscus) which help to reduce puffiness and promote firmness; Vitamin C to brighten dark circles and lighten any age-related pigmentation, and Coffee Cherry extract which has been included for its anti-inflammatory properties that further depuff and soothe the delicate eye area. It's definitely been helping with my puffy eyes which are awful when I wake up! 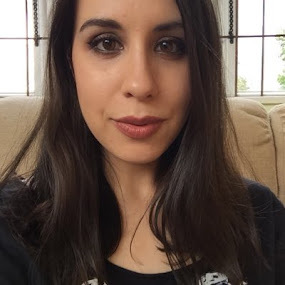 Eye Work is a fantastic product to use first thing in the morning if you suffer from puffy eyes and dark circles, and it layers very well underneath makeup. You can also dab a bit on during the day or after work if you need a little brightening boost, so it's useful to pop into your handbag too. Eye Dream, on the other hand, is completely different to Eye Work and has been specially formulated to serve as an overnight treatment. I wasn't quite sure what to expect when I first opened it, as I was greeted by a light blue-tinted balm (from the Blue Tansy extract), that was completely solid due to the cold weather. After a good warm up near a radiator, it transformed into a much more pliable balmy texture which was still very thick and rich, due to a whole range of plant-based butters and oils such as Shea Nilotica Butter, Coconut Oil, Murumuru Seed Butter, Oat Kernel Oil and Sunflower Seed Oil, to name but a few. 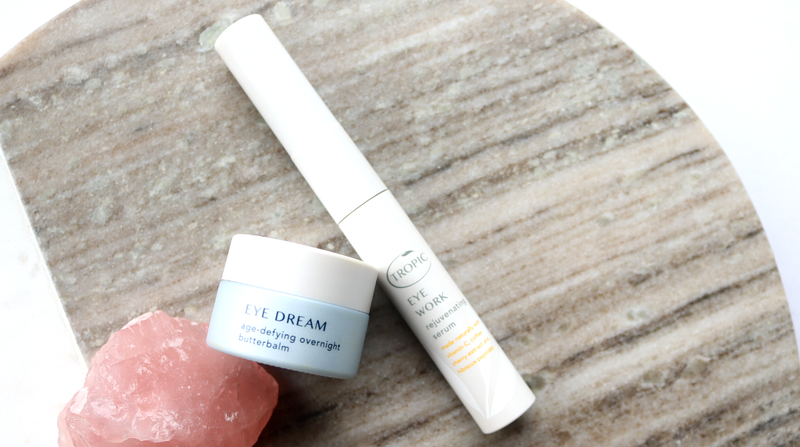 The superstar anti-ageing ingredients in Eye Dream though are the Bio-Retinols and Plant Ceramides (both naturally derived), and it's these two which will ensure that you see a noticeable difference when you're using it. Retinols are great for stimulating the production of collagen, whereas Ceramides are famed for their ability to plump and rejuvenate the skin, improving elasticity and reducing the appearance of fine lines and wrinkles. A tiny amount goes a very long way with this product as to not overload the skin, but once you get it right, it's a brilliant step in your evening skincare routine if you're concerned about your eyes looking tired and older. My only bugbear with Eye Dream is that it does have a tendency to lose its balmy texture when it's in a cold environment, and then it takes a good 5-10 minutes for the texture to become useable once again, so bear this in mind if you live in a cold country. 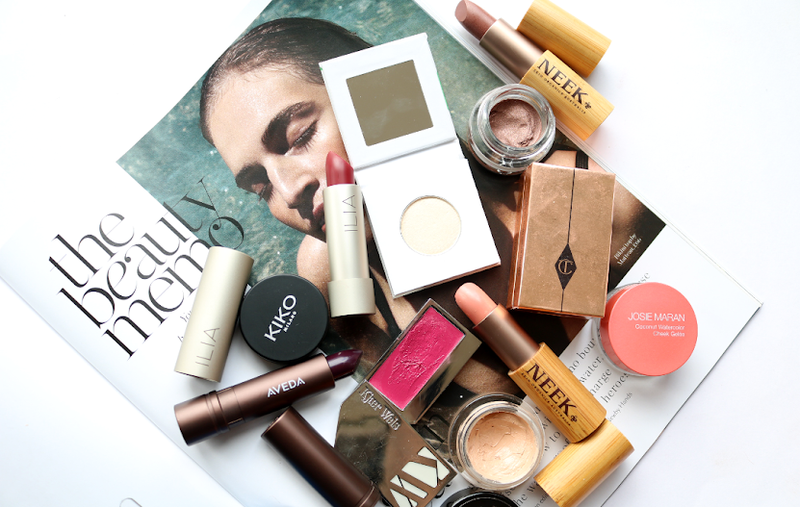 What eye products are you using at the moment?